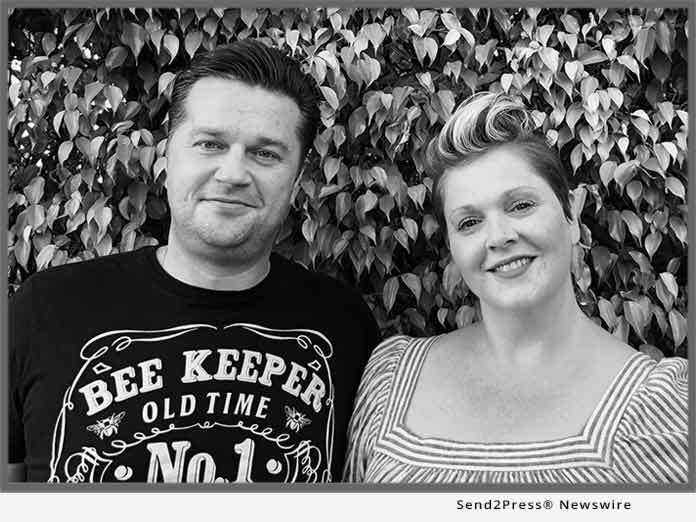 PARKLAND, Fla., Apr 10, 2019 (SEND2PRESS NEWSWIRE) -- A new online platform - the Domestic Beekeepers' Marketplace - provides U.S. beekeepers the opportunity to market their small batch, nutrient-rich, American-made natural honey to consumers, not just locally, but nationwide. This is great news because many low-cost, imported honey varieties are forcing American beekeepers out of business. "There are many health benefits of raw honey, but consumers often have a difficult time finding it," Stefanie Gesuero, co-founder Domestic Beekeeper's Marketplace, says. "And honey that is typically found in grocery stores is imported, pasteurized and stripped of its natural health benefits." Additionally, honey is often mixed with high fructose corn syrup and other sweeteners, as well as being contaminated with toxins, which can be harmful to consumers' health. A University of California, Davis report, co-authored by Daniel A. Sumner and Tristan Hanon, "Contributions of the U.S. Honey Industry to the U.S. Economy," reveals that in 2017, U.S. honey production weighed in at 147.6 million pounds; honey imports exceeded that number at 447.5 million pounds and the annual U.S. honey consumption was 585.2 million pounds. These numbers prove that honey is in demand and there's room for domestic growth. Domestic Beekeepers' Marketplace is doing its part to make American-made honey more readily available to consumers by connecting them directly to the source - the beekeepers. This saves both time and money. This new online platform is easy to use and consumers can quickly find local, raw honey producers simply by entering their state or county information into the "Local Honey Tracker" search tool. "We're committed to providing a fair-trade marketplace for domestic beekeepers that supply American-made all-natural honey," Gesuero says. "The more local beekeepers who produce honey, the more our American honeybees can pollinate and reproduce. This helps our agriculture, our honeybees and keeps America healthy. Natural honey loaded with endless health benefits is just a few clicks away."